AT DEALER NOW...2017 Z06 Mag Ride Update??? 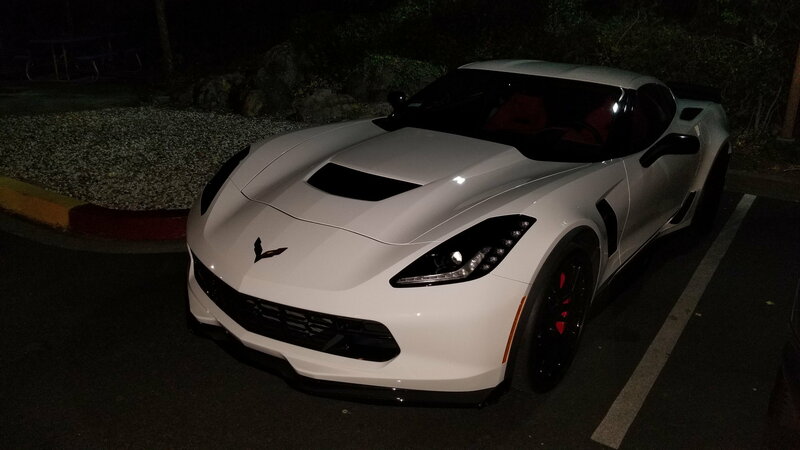 AT DEALER NOW...2017 Z06 (W/ Z07) Mag Ride Update??? We are at the dealer right now. 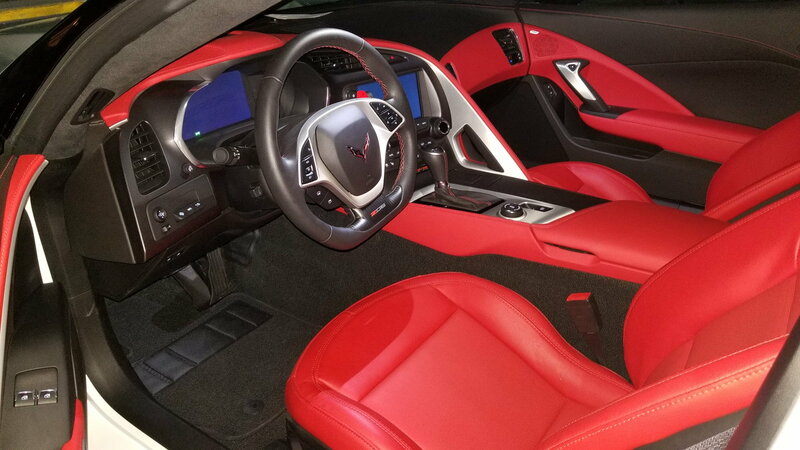 Does the 2017 Z06 with Z07 need an update to the Mag Ride? What is the TSB for the dealer to look for. 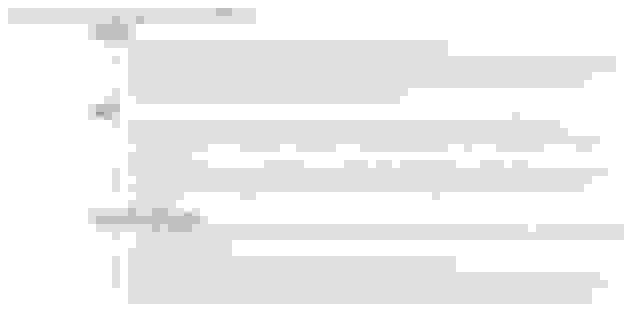 Sorry, not much time to search. Last edited by ladiver; 09-14-2018 at 04:02 PM. I only see 2015 - 2016 Z06 with Z07 listed as having an update. This is what the GM Engineer that was involved in the changes that Tadge had answer a question. The Z07 2017 gets one:Do the 2017-2018 cars including the GS already have the enhanced calibrations or will they be a part of a future update? Model year 2017 MRC vehicles were the same as 2016 with the exception of the Grand Sports which did reflect a partial representation of the revised tuning philosophy. 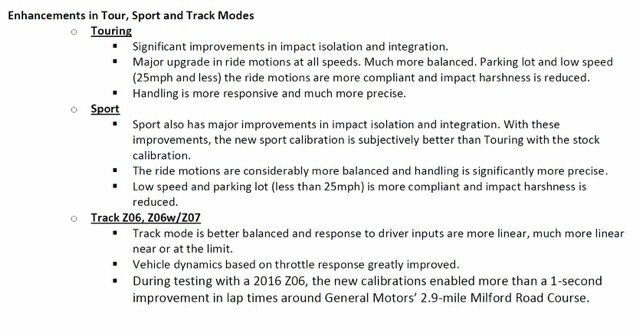 Also included for 2017 production was a new Track calibration for Z06/Z07 (minus the temperature compensation as discussed below). As I stated above, all 21 2019 production including Chevrolet performance calibrations were completed in September, 2017. This was approximately 8 months after the 2018 calibrations were released for production. When we hit our 2018 production release dates, the progress I made thus far was released for 2018 production in Tour and Sport for: Z51, Grand Sport Base, Grand Sport w/Z07, Z06 Base, and Z06/Z07. 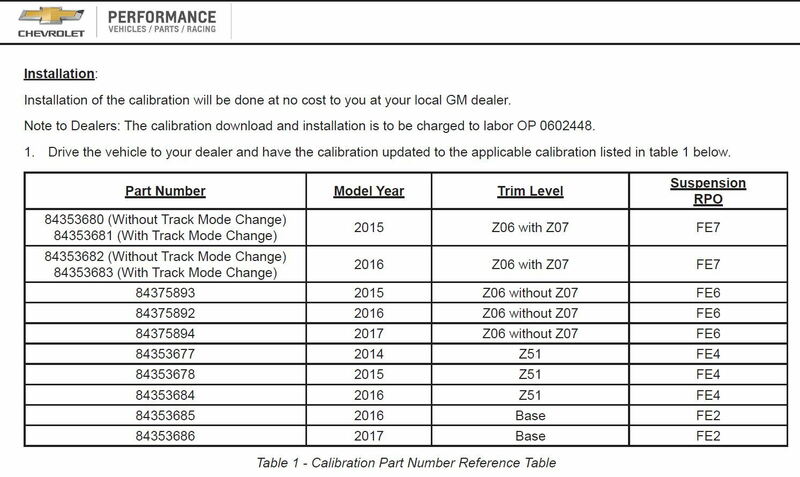 So yes, Chevrolet Performance will be offering new calibrations for all 2017 and 2018 MRC equipped vehicles including Grand Sport, expect to see the remaining models released in Q1 2018. 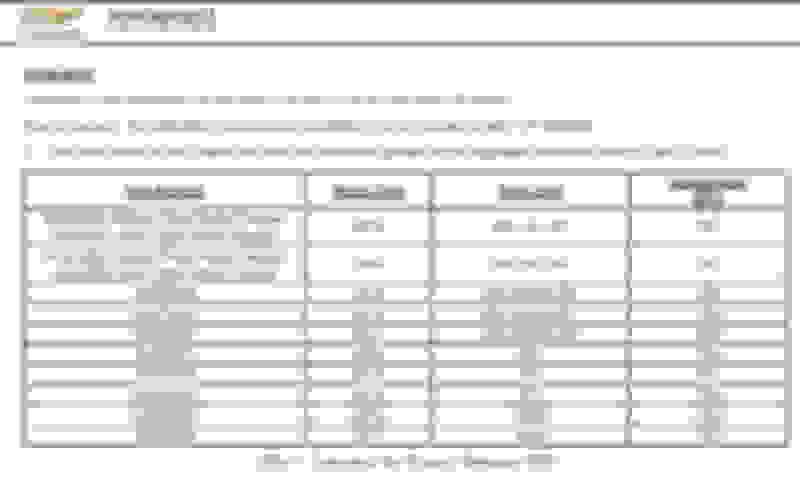 Step 1 – Obtain VIN of vehicle for reprogramming. Step 2 – Call TCSC at 1-800-828-6860. They don't order a part number. The parts department in one dealer when crazy calling folks. This is not like other program changes! Only that phone number and that GM group can authorize and provide the download. I got mine for my 2017 Grand Sport from a small dealer who knew what he was doingafter messing around with a larger dealer who did not! Big difference in performance. Last edited by JerryU; 09-14-2018 at 06:06 PM. They don't order a part number. …. The software "Part #" is changed in the vehicle's configuration by, and only by, TCSC. When the technician that will perform the operation calls the Techline #, a GM TCSC operator at the mothership simply enters the VIN into the system, the operator then asks the technician a few questions, and confirms the information. The operator then reconfigures the vehicle's master file with, in this case, the appropriate part# for the MRC upgrade, confirms the dealer responsible charge ($350) to the customer for the upgrade, and warns the technician of the 8-10 hour temp compensation time. Once the operator confirms reconfiguration of the vehicle's master software, the phone call is done. All the technician does from there is to connect the OBD controller to the dealer's Service Programming System computer, connect the OBD to the vehicle, and follow the proper Document ID installation instructions. The technician has no control over the master software file of the vehicle. Those changes are all made by the Techline operator, and the GM TCSC mothership. Thank you everyone. We had a pretty busy day and just now got back to our hotel! We did get the new car, but they did not do the update. I could not get them to throw it in and we finally agreed on "their cost" (LOL) of $280. But then they said the technician can't get to it until Monday. We are driving home in the morning. So, I will give my business to my local dealer, when we get the first oil change done. Ake sure you get the update. Changed every aspect of the experience driving this car around town. Like a cadillac when crusing and tight when needed. the old way was tight when not needed and nothing Cadillac about it lol. The impacts were so sharp I convinced myself it's the only way to enjoy the benefit of 650hp and the widebody.. I was wrong. They mastered it. Well worth every penny. Quick Reply: AT DEALER NOW...2017 Z06 Mag Ride Update?? ?